Grayfords solicitors London provides expert legal support for divorce & family law. One of the top divorce lawyers in London offers affordable and longest free consultations. 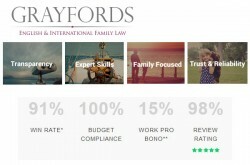 Grayfords solicitors based in Fitzrovia, Central London.